About 20% of seniors suffer from some form of cognitive impairment with men being more susceptible compared to women. It should be noted that while MCI is different than dementia or Alzheimer’s Disease, it may foreshadow their development later on in life. This is not to say that those who are married with a college education are not vulnerable, just less vulnerable than those with less education. This seems to tie into the idea that being more active when engaging in studies, games, or tasks means using the brain more. This in turn means fewer cases of cognitive impairment. There are numerous symptoms, some of which may seem innocuous when first seen. However, when they repeat themselves over time that is a sign the person may have mild cognitive impairment. The symptoms may not be all that noticeable at first, especially if you are not around to see them first hand. However, they do become noticeable over time when you see the person afflicted struggling with the same tasks. Once identified, the symptoms can be addressed usually through assistance. Although this condition affects a considerable number of seniors, there are ways to address it before it happens. The increase in exercise helps the blood flow which in turn provides the brain with the oxygen needed to function properly. Using the computer, such as surfing the internet means being exposed to new information which causes the brain to grow. Plus, eating a diet with monosaturated or polyunsaturated fats, such as those found in nuts, seafood, olive and vegetable oil means less inflammation which in turn means fewer cases of heart disease, blood clots, and strokes. 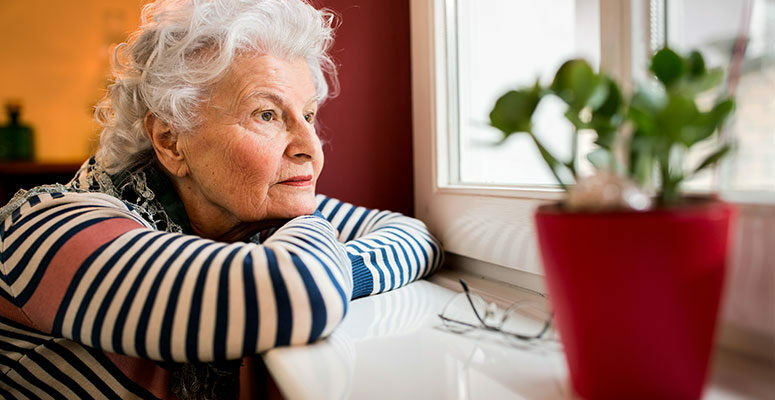 It is important to distinguish the difference between dementia, where constant care will be needed at some point, and mild cognitive impairment where the person can still live on their own. By recognizing the risk factors and observing the symptoms, a person with MCI can still live a long, healthy, and active life with some assistance while being independent. Contact Blue Parasol Home Care for more information. Please reach out to us directly at 718-349-1905 or info@blueparasol.org.